Adita Yrizarry-Lang is a SuperPower aficionado and mother of 2. With more than 30 years of experience in health and wellness, her endeavors include everything from biomechanics and resistance training expert to being a mind-body coach and author of SuperPowers: A Busy Woman’s Guide to Health and Happiness. Adita holds a degree in Holistic Nutrition, is also a certified holistic lifestyle coach. She has trained thousands of fitness professionals worldwide and often speaks at schools, Fortune 500 companies, and private organizations. Today, she’s sharing with us five ways to take your superpowers as a mom (yes, you have them — even on the hardest of days!) and make them even stronger. 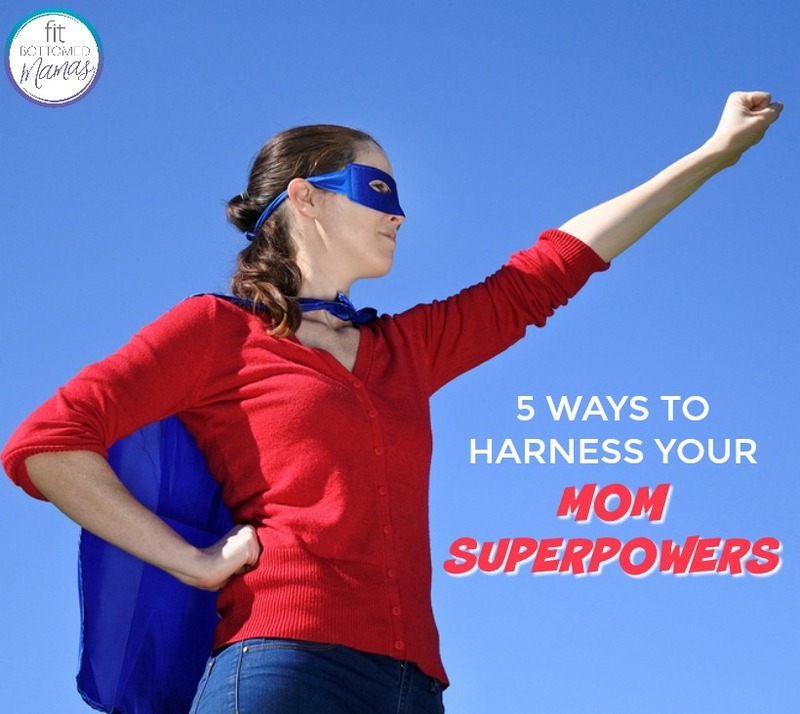 Every mom was born with incredible superpowers that have spearheaded her to where she is today. We all go through these modes, but I can tell you there is more inside you than you give yourself credit for. As a woman, we are constantly able to juggle a multitude of tasks, all while making breakfast and finishing up a school project or two. We don’t think twice; we are basically wired to simply make it happen! Your inherent superpowers are there to make you shine. But! They only shine (or, at least, they shine brightest) when they are nurtured and well taken care of. 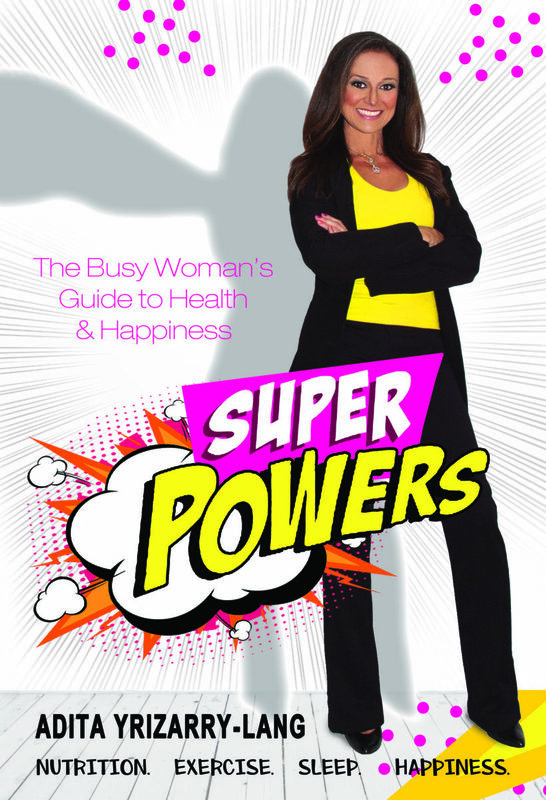 Here are my top five tips — that I also share in my new book SuperPowers, A Busy Woman’s Guide to Health and Happiness — to light them up and relish in the glow. 1. See food as fuel. I realize that many times we feel comforted in our food choices, especially when surrounded by the chaos of the day. Here’s the thing, though: is that comfort food really giving you energy? Fuel yourself for success with healthy food choices, then drink a cup of tea or paint your nails for comfort. Eat foods that empower you with nutrition so that you become energized like never before. 2. Sleep like the queen you are. Oh, yes, quality sleep means that you wake up ready — maybe even excited — for your day. Your sleep is what allows you to physically and mentally recover from the past day. Your room should be dark and colder than usual, and when you wake up in the morning you should feel refreshed. 3. Move with purpose. Add in a walk, a workout, or even just a set of push-ups here and there to get the juices flowing and the energy going. Every time you can increase your heart rate — even just for a few minutes — you actually add energy to your day, clear the mind, and reset for the next task ahead. 4. Take time for you. Most of my superpower pals, including myself, give so much to so many without taking the time to do something for ourselves. Every day, set aside a few minutes (or more if you can) and do something for you. Choose an activity that you really want to do, that you really do enjoy, and that inspires you. Taking that time will reignite your powers and supercharge you for the next challenge at hand. 5. Laugh often. Did you know that the average child will laugh 400 times a day, yet the average adult laughs only 15 times a day? It’s time to change those statistics: Laugh like no one is watching, and be proud of who you are and the superpowers that make you awesome. I read many a post regarding staying happy and finding motivation but nothing as feasible as this. Being a mother we often neglect ourselves. Thank you for sharing such relevant content. This is exactly about me! Thanks for such a great content. Moms are always love.